An earlier effort to suppress the student vote occurred at the University of Guelph two weeks ago. It now appears the region from Guelph to Kitchener in Ontario was specifically targeted for vote suppression right up to election day. OTTAWA — Elections Canada is warning voters to be wary of any telephone calls suggesting a change in the location of their polling station. The federal agency has received reports from ridings across Canada of people calling voters to give false information about polling locations or other changes in voting polls. “It’s happened in some isolated pockets across the country,” said Elections Canada spokeswoman Diane Benson. “We’re concerned about it. We’re concerned if electors are being given false information. “We do not communicate with electors by telephone,” she added. The bogus calls have been made to voters in Guelph, Ont., as well as in Manitoba and B.C., according to media reports. Frank Valeriote, the Liberal candidate for Guelph, took to Twitter to warn voters in his riding about the bogus calls. Benson said voters should check their voter information card and can verify their polling station using their postal code at www.elections.ca. Voters can also call their returning office. A different type of voting problem was experienced by several Montreal voters. When Robin Warren showed up to vote on Monday, she said her name had been crossed off the voter list. She had to sign an affidavit swearing she had not voted already. While Warren was at the polling station, she said another woman who lives in the same apartment complex had an identical problem. “On my way back home after we dealt with all this I ran into another group of ladies outside and all their names were crossed off the list, and they had to go through the same thing of signing affidavits. There’s something not right here. There’s too many people in one building,” Warren said. All of these are familiar Republican tactics over the past decade. Who is most likely responsible for this? Liberals, New Democrats, or Conservatives? Frank Valeriote is the Liberal incumbent in a Liberal stronghold, and the youth vote trends strongly to the New Democrats. That leaves the Conservatives, who we know tried to shut down the University of Guelph special ballot — and who, of course, also happen to employ Republican consulting firms. How many incidents like these do we not know about? 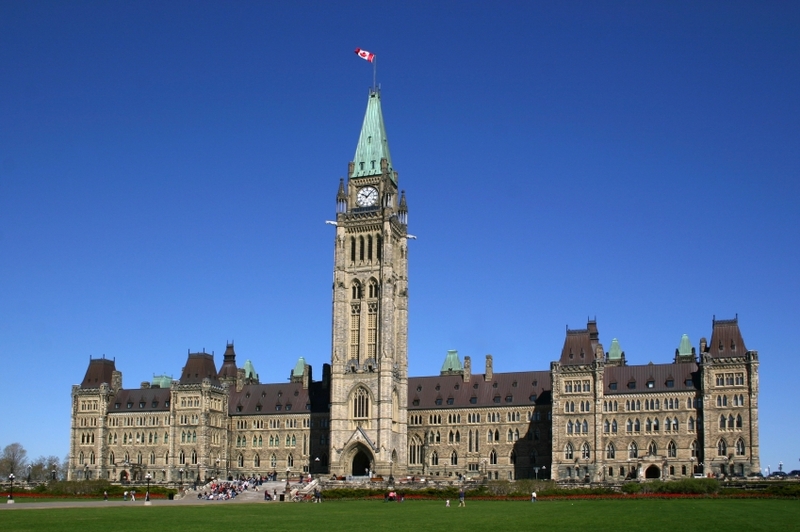 Will Elections Canada be allowed to launch a full investigation? Will those responsible be held accountable? For the record, it does not matter whether or not these tactics can be regarded to have succeeded on any scale large or small. It only matters that they occurred at all. This needs to be traced to the source. This entry was posted in Canada, Current Events, Politics on May 3, 2011 by Michael Happy. It is a truism that the results of any election must be respected. But the fact that 60% of the electorate voted against a government that seeks to polarize the country as a deliberate political strategy, and routinely demonizes the opposition through co-ordinated smear campaigns, says a lot about where we are today. The solid majority of voters who cast ballots against this government may have to respect the results, but they are not required to pretend those results are fully representative of the will of the people. The built-in flaw of our first-past-the-post system is that minority governments more comprehensively represent the majority, while majority governments almost invariably represent a minority. We accept the results, but we understand their limitations and push back against them by way of our constitutional guarantees of free speech and free assembly. Given their past behavior, the Conservatives will almost certainly press a legislative agenda that will offend the majority that made a particular point to vote against them. It is especially important to remember therefore that democracy is not just about what happens on election day. It is an everyday process. It is a full-time commitment. This government, like all governments, needs to be monitored and the concerns of the majority of citizens who voted against it must be articulated so that they will not be ignored. The next election when it comes ought to be an extension of what we are willing to do from this point on to protect our interests and to support our democratic traditions and institutions. Stephen Harper has tellingly made reference in the past to “real Canadians,” an unacceptable formulation. All Canadians are real Canadians, even if they do not vote for the Conservatives and will continue to vote against them at every opportunity. It’s worth repeating: government is not our master but our servant. Those who govern may not always remember that, which means that we can never allow them to forget it. This entry was posted in Canada, Current Events, Democracy, Politics on May 3, 2011 by Michael Happy.